Quilting was very challenging today. Perhaps if I quilted a quilt every day, I might actually get good enough at this to enjoy it. Today there were several challenges. 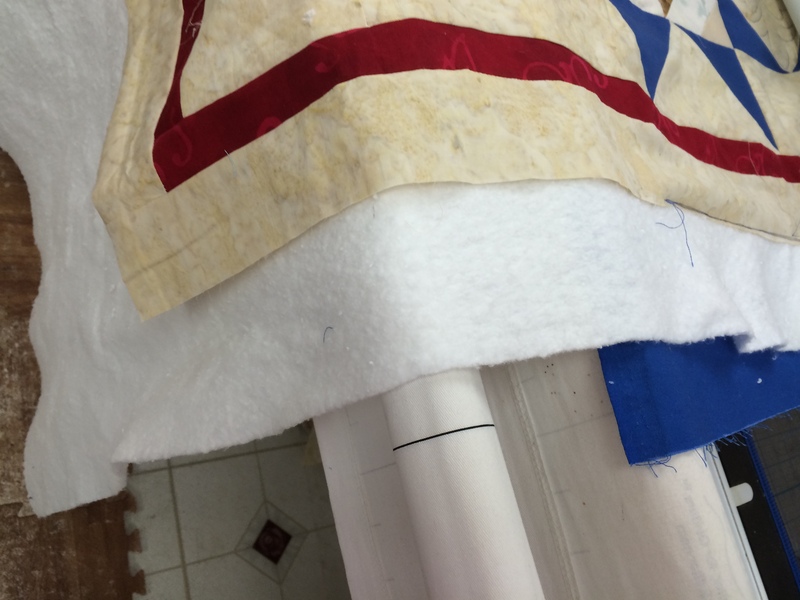 But the worst was that I did not measure correctly for the backing. Fortunately, I have more fabric and I’m only doing one block at a time instead of moving across the entire row with one stitching. Can you see that I am about a foot short – what’s up with that? 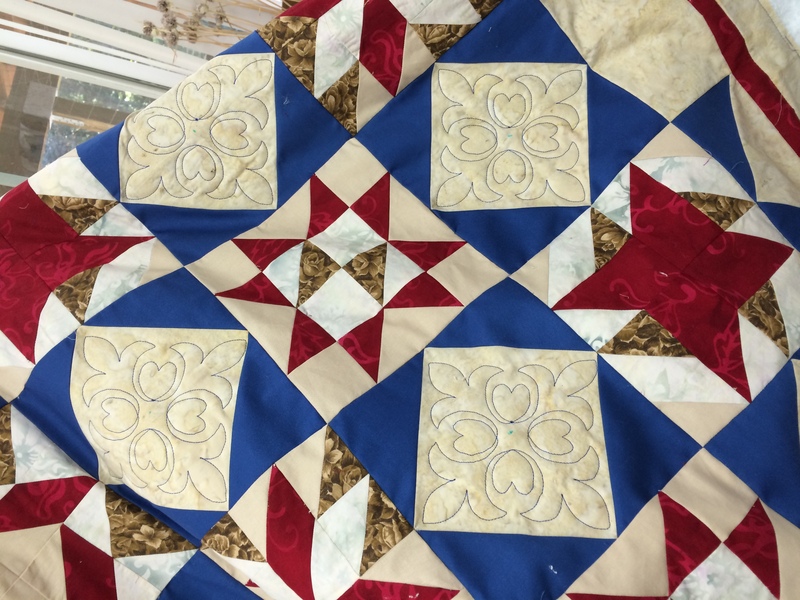 Because of how this is being quilted, I took it off the machine and will sew the additional fabric on before continuing. Here is the block I’m currently quilting and then I will go back and do the ones in between. So now, it looks like this with which I am happy. Because a friend is coming over tomorrow that wants a quilt done, I decided to just quit early and get the floor swept and a couple smaller projects done, so we can use the cutting table. I have been bemoaning the zucchini were so slow and DH wants zucchini bread. Look what was very well hidden. With this there will be several loaves in the freezer. 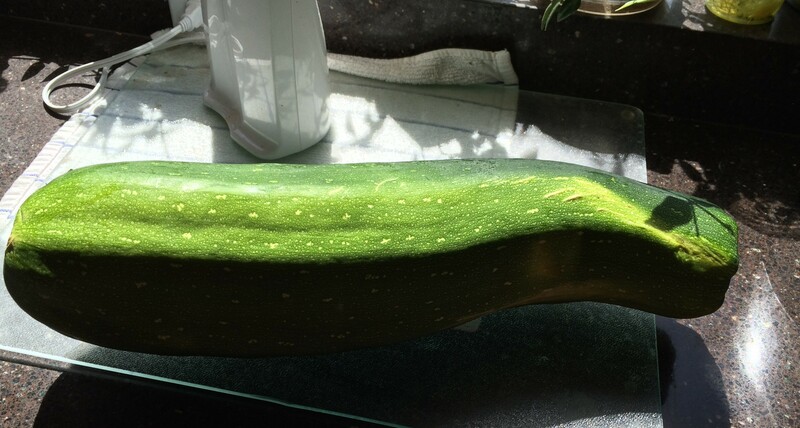 That is one huge zucchini! 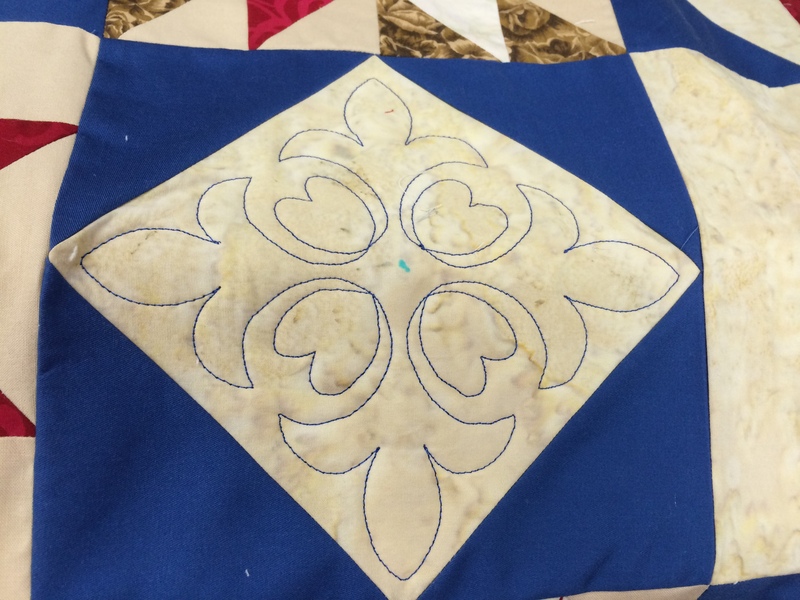 Do you have a longarm, or do you FMQ?